My friends… it is a great day, because it has all come full circle. Back in 1981 the White Guy Ninja genre began with the amazingly awful 'Enter the Ninja' and well over thirty years later we have the borderline amazing film 'Ninja: Shadow of a Tear'. 'Enter' co-starred Sho Kosugi as the evil ninja the White Guy Ninja had to lay waste to… and the circle closes with Sho's baby boy Kane Kosugi showing his awesome skills to new audience of White Guy Ninja fans. There is a tear in my eye. After surviving the harrowing events that occurred in the last film 'Ninja', life is great for Casey Bowman (Scott Adkins). He is living in Japan taking over his late Masters Dojo, but more importantly he has wed and impregnated the achingly adorable Ninjette, Namiko (Mika Hijii). Just look at how Casey reacts as he looks longingly into her eyes, caresses her face, touches the belly housing their unborn child, or tells her over and over again he how much he loves her. Namiko's eventual murder is about a rock solid a guarantee as a guarantee can get. Even if this weren't in the synopsis, tagline, and trailers… which it probably shouldn't have been… this was a forgone conclusion. Casey is crushed by the murder of his beloved, and when his taller, better looking and silky smooth best friend Nakabara (Kane Kosugi) shows up for the funeral, he lets Nakabara know that the streets of Tokyo will run red until he finds out who did this to his lady love… whomever the hell that might be. I don't think Casey knows with any certainty who might be responsible for this, but that's not going to stop him from kicking people in the face and slicing throats. almost no reason which has Nakabara thinking about rescinding his invite. Then some things happen which indicate that maybe the dudes responsible for Namiko's murder might still be alive, particularly the insanely brutal Japanese drug lord Goro (Shun Sugata) and his signature barbed wire star attack lance… or whatever the hell that thing was… as Goro has had it out for Namiko's Clan ever since World War II. Why he chose now, after all this time, to get his revenge? Beats me, but that's an evil dude for you. Now Casey has to go to Burma… I'm sorry… Myanmar, formerly known Burma as the title card will repeatedly tell me in case I didn't get it the first time, and Kill... Them… All. And if Casey should survive this onslaught on Goro's compound, Namiko will finally be Avenged! Or not. Who knows? What we do know is folks are gonna seriously get kicked in the face. 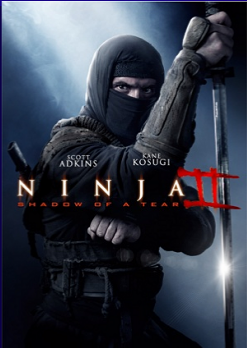 We really enjoyed director Isaac Florentine's first 'Ninja' movie, with our only reservation in that film being that we didn't think that Scott Adkins seemed very comfortable in the role of a leading man. Kicking people in the face? Man, this cat has probably got that down better than anybody working today, not named Michael Jai White, but he looked somewhat unsteady as the lead.  That one minor reservation has been summarily removed with the arrival of 'Ninja: Shadow of a Tear'… whatever the hell that means. Now we're not saying that Scott is the second coming of Sir Lawrence Oliver over here, but when it comes to this kind of movie, I can't seriously fathom why this guy wouldn't be on your short list of actors to put in your film. Kane Kosugi should probably be pretty high on that short list too. Like the first film, I'm thinking just about everything you would want in your straight to VOD beatemup should be here… tenfold. There's more action… better action even… the film rarely slows down, and only occasionally does this so Casey can imagine beautiful images of his dead wife, which only makes him madder, which only leads to more people getting kicked in the face or stabbed or sliced. And since this movie was directed by Isaac Florentine we can rest assured that the fight choreography, production values and presentation are top notch with the final two fight sequences being about as good as it gets for this day and age. All that being said… however… and recognizing that we did enjoy this movie an awful lot, the narrative supporting Casey kicking people in the face was pretty out there, especially once all is revealed to us, which puts this movie into the realm of the Super Ridiculous. The narrative does serve its main purpose in driving our hero relentlessly forward on his path to destruction, but once this is over and you play back the series of events that led to our hero taking this path… just don't revisit it is all I can say. The good thing is that if I'm deconstructing your action movie story in the middle of your action movie, chances are I'm watching a crap action movie. This one didn't cause us to start deconstructing the narrative until it was over. That's a good thing. And Scott Adkins still isn't much of an actor. But to qualify this in context, the last movie we saw directed by Isaac Florentine, before this one, was called 'Assassins Bullet' starring Christian Slater and Donald Sutherland. Are Christian Slater and Donald Sutherland better actors than Scott Adkins? Sure they are. But 'Assassins Bullet' was one of the worst movies I'd seen that year. That movie needed somebody who could kick someone in the face and make me believe it… not someone who could act. I think Mr. Florentine has learned his lesson with that one. Regardless of all of that, the bottom line is that 'Ninja: Shadow of a Tear'… whatever the hell that means… satisfied most every base need that we require from our action movies. Highly recommended.